Geller’s research sits at the intersection of criminal justice and social inequality, focusing specifically on the role of incarceration in families, and interactions between police and the public in urban communities. Her work is based largely on quantitative analysis of data from large surveys and administrative databases. In addition to her academic publications, she has presented findings from her research in testimony to the City Council of New York City, and at a White House workshop on parental incarceration. Amanda Geller's research on Phillip Atiba Goff, "On Stop-and-Frisk, We Can’t Celebrate Just Yet," New York Times, January 7, 2018. Amanda Geller quoted on "Terry" stops in Dr. Vickie M. Mays and Kaylin D. Wesley, "Helping African-American Men Over 65 to Stay Healthy and Live Longer" East Bay Express, October 13, 2017. 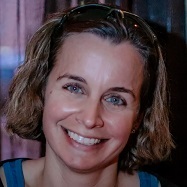 Amanda Geller's research on police tactics and mental health discussed in Colleen Long, "Study Finds Anxiety after Street Stops by Police," Robina Institute, July 22, 2015. Amanda Geller's research on police tactics and mental health discussed in Melissa Dahl, "New Study Links Stop-and-Frisk with Anxiety," Science of Us, October 30, 2014. Amanda Geller's research on police tactics and mental health discussed in Christopher Mathias, "Study Links Stop and Frisk to Trauma and Anxiety in Young New York City Me," Huffington Post, October 17, 2014. Amanda Geller's research on policing’s effect on community discussed in "Why Stop-And-Frisk Could be Bad for Americans’ Health," ThinkProgress, October 17, 2014. Amanda Geller's research on police tactics and mental health discussed in Meredith Clark, "Study Connects Police Tactics and Mental Health Concerns," MSNBC, October 16, 2014. "The Science of Policing Equity: Measuring Fairness in the Austin Police Department," (with Phillip A. Goff, Dean Obermark, Nancy G. La Vigne, and Jennifer Yahner), Urban Institute, October 11, 2016. Analyzes publicly available data in 2015 vehicle stops and 2014 use of force incidents on the part of the Austin Police Department. Indicates that even when controlling for neighborhood levels of crime, education, homeownership, income, youth, and unemployment, racial disparities still exist in both use and severity of force. Demonstrates APD's high level of transparency and the value of that democratization of police department data in examining whether community-level explanations are sufficient to explain observed racial disparities. "Paternal Incarceration and Father-Child Contact in Fragile Families" Journal of Marriage and Family 75, no. 5 (2013): 1288-1303. Shows that most incarcerated fathers maintained a degree of contact with their children, either through coresidence or visitation. Finds reductions in father-child coresidence and visitation when fathers are incarcerated, driven both by incapacitation while incarcerated and union dissolution upon release. "Surveys, Records, and the Study of Incarceration in Families" (with Kate Jaeger and Garrett T. Pace). The ANNALS of the American Academy of Political and Social Science 665, no. 1 (2016): 22-43. Matches data from a large family survey to administrative criminal history records to examine underreporting of incarceration and the implications of this underreporting for our understanding the dynamics of families with incarcerated fathers. "Beyond Absenteeism: Father Incarceration and Child Development" (with Carey E. Cooper, Irwin Garfinkel, Ofira Schwartz-Soicher, and and Ronald B. Mincy). Demography 49, no. 1 (2012): 49-76. Finds significant increases in behavior problems, most notably in aggressive behavior, among young children following their fathers’ incarceration. "Aggressive Policing and the Mental Health of Young Urban Men" (with Jeffrey Fagan, Tom R. Tyler, and and Bruce G. Link). American Journal of Public Health 104, no. 12 (2014): 2321-2327. Presents data from a survey of young men in New York City that shows elevated rates of anxiety and trauma among those reporting more and more invasive experiences being stopped by the police.